Governance and freedom on the internet go hand in hand rather than being incompatible elements, an expert reiterated ahead of the one-year anniversary of Chinese President Xi Jinping's speech during a symposium on cyber security and informatization in Beijing on April 19, 2016. At the symposium, President Xi, who also heads the Central Internet Security and Informatization Leading Group, called for comprehensive development of the internet and ensuring it could be harnessed for the benefit of the country and the people. Xi made the call as cyber security has become so vital that all countries agree better governance of cyberspace is essential for a prosperous shared future for all. Most countries applauded President Xi's proposal for building a community of shared future in cyberspace. "The proposal features the greatest common divisor. 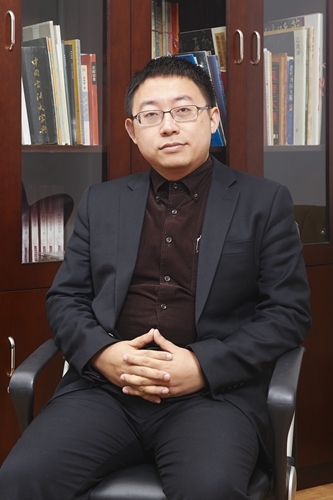 It is inclusive enough so that no one stands out to oppose it," said Prof. Shen Yi, director of the Research Center of Cyberspace Governance at Fudan University in Shanghai, adding that many countries hoped that "community of shared future" be more tangible and practical. "In his speech, President Xi Jinping outlined the framework for cyber security and informatization development, which in essence is to shape a new order in cyberspace based on respecting the principle of cyberspace sovereign equality as the core," he said. "China has been contributing to the promotion of this new order. Xi's speech was one of the cases in point." He explained that the freedom in cyberspace, in a broader sense, refers to the aspect that all countries, big or small, have equal rights to enjoy resources in cyberspace to serve their own development, to implement independent policies on internet management and to participate in the formulation of a new order for global cyberspace. Cyberspace should be governed in line with the concept of a three-level structure, stressed Shen. He noted that the three levels were physical facility, logic codes and digital personality, all requiring good management. On the bottom level is the physical facility, including access devices, wires and physical storage space. "These facilities surely have property attributes and are naturally under the jurisdiction of a government," said Shen. "You can't tamper with the servers of others or copy data from them without authorization." Regarding the middle level of logic codes, the relevant national watchdog should monitor the flow of codes and detect malware. "Malware isn't necessarily computer viruses. The damages they are capable of causing range from the theft of personal financial information to the breach of a country's network security," said Shen. The "emailgate" controversy affecting Hillary Clinton during the 2016 U.S. presidential elections showed that even the United States, a superpower in cyberspace, was not exempted from cyberattack. "As for another conclusion, a responsible country should prohibit such activities [hacking another country's network] in cyberspace," said Shen. Digital personality, the top level, refers to how individuals act on the internet. At the 2016 symposium, Xi required officials to welcome well-meant criticism raised on the internet, "be it gentle or harsh-sounding." However, disciplining people's online behavior does not contradict President Xi's demand for more tolerance and patience to internet users. Shen stressed that internet users' behavior should also be subjected to supervision, the same as people's offline behavior. He was confident that Chinese leaders have the courage and political responsibility to innovate the approach to cyberspace governance. "The best way to clarify online rumors is to line them up with the true facts and let people reach their own conclusions," he said. "However, for professional rumormongers, those who spread unfounded, false rumors for profit, we should crack down because they are destroying society's trust and their gains are at the cost of society's injury." An expert on cybersecurity and mass media agrees that the better governance of cyberspace means greater internet freedom.